When I was in elementary school it was still possible to watch "The Lone Ranger" re-runs on our black-and-white TV in the afternoons. This "masked man" struck unexpectedly, riding into towns in the Wild West on his trusty steed Silver, righting wrongs and correcting injustices, and disappearing as quickly as he came. "Who was that masked man?" 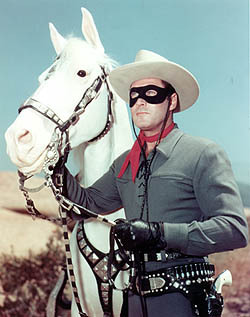 Of course, the Lone Ranger is an icon of American culture, but it occurs to me that probably none of my seven children have any idea who he is. I'll have to see if they have reruns on Netflix. The readings for the Fifth Sunday of Easter, however, do not encourage a maverick independence on the part of Christians. 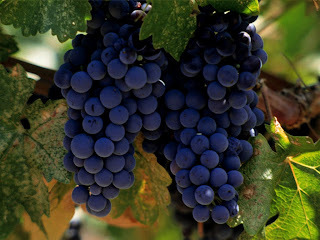 We are not called to operate by ourselves, but in close connection with Christ "the vine," never being parted from him. Because Christ identifies himself with his Church (Acts 9:4), the teaching about the vine also has implications for our relationship with Christ's body. There is only a loose integration of the readings with one another during the Easter Season, since the first, second, and Gospel readings are each "doing their own thing": the first reading is giving us highlights from Acts; the second, highlights from 1 John; and the Gospel (usually) discourses from the Gospel of John. Nonetheless, when read together, the readings cast light on each other and certain themes emerge. We see here that Paul, after his conversion, does not simply gather around himself some other converts and establish himself as the pastor of an independent congregation. He travels to Jerusalem and "tries to join the disciples," i.e. the Church. The disciples are already an identifiable body with a fundamental authority structure under the apostles. So Barnabas takes Paul before the apostles in order to receive their confirmation and establish unity, or "ecclesial communion." This made it clear that Paul was not operating as a "loose cannon," but his ministry had the blessing of the Church, and represented the mission of the Church. He moves freely "with them"--that is, the apostles and other disciples. The unity of the Church leads to peace and growth--the Church in the Holy Land enjoys a "honeymoon" period for a short while. This passage reminds us to pray for peace and unity among Christians for the sake of our common mission. Psalm 22 is powerful, beautiful, mysterious. Although attributed to David, the mortal crisis it describes does not match any of David's known sufferings, and the ancient editors made no suggestions for where it fit in his life, as they sometimes did for other psalms (cf. Pss 3, 7, 18, etc.). Reading through Psalm 22, one can see that it breaks into two parts, the dividing point being either vs. 22 or 23. The first half of the psalm is the "Good Friday" portion, that reads like a description of the Passion. The second half (vv. 22-31) are the "Easter" portion, that describes all the good and blessing that comes on the heels of the suffering described earlier. Here we see foreshadowings of the Eucharist ("the lowly shall eat their fill," v. 26), the evangelistic mission to the Gentiles ("All the ends of the earth shall ... turn to the LORD," v. 27), and life in the age to come ("To him alone shall bow down all who sleep in the earth," v. 29). I used to use parts of 1 John in evangelism, because I was trained in "Evangelism Explosion," a method of presenting the Gospel associated with the Presbyterian church leader D. James Kennedy. There were good things about this method, but it was based on a certain stream of the Calvinist tradition that insisted one could have absolute certainty about one's salvation (the "assurance of salvation"). So, in the course of evangelizing, I used to emphasize 1 John 5:13: "I write this to you who believe in the name of the Son of God that you may know that you have eternal life." And I would say to converts: "See, this says you don't just believe your saved, but you can know that your saved." So, in 1 John, the Apostle gives us signs that we can look for in our lives that give us confidence that we are children of God. For example: "By this we may be sure that we know him, if we keep his commandments." Yes indeed. But who of us keeps his commandments perfectly? So salvation is never something "in the bag" that we can take as a given--this is what the Church calls "presumption." At the same time, we can and do observe signs of progress in our lives in keeping the commandments of Jesus, and this provides consolation that in fact the Spirit is effectively working in us. The last verse of this reading from 1 John ties it with the Gospel reading for today: "Those who keep his commandments remain in him, and he in them." This helps give definition to what it means to "remain in Jesus," a strong theme in the Gospel reading. "Remaining in Jesus" does not just mean extended periods of ecstatic prayer, as good as that may be, but it involves active obedience to the the commandments of Jesus, including "to love not in word or speech, but in deed and truth", "to believe in his Name," and to "love one another." That's a tall order, to truly live out that "love for one another." One aspect of that love is to strive to maintain unity within the Church, a theme from the first reading. We need to work together, not apart from one another, under the authority of the apostles and their successors. It is when we love "not in word ... but in deed" that we can "reassure our hearts before him," that is, be confident that we have truly become children of God. Who of us has arrived? We can only make progress with the help of the "Spirit he gave us." There is so much to observe here, but we must be content with only a few points. This discourse is a counterpart of the Bread of Life discourse in John 6. Both are, in part, Eucharistic discourses, but meditations on the two different species, the Body/Bread and Wine/Blood. Wine is the fruit of the vine; when we receive in communion, we are imbibing the "sap" of the True Vine, which represents and actualizes our union with Christ. One of the implications and applications of Our Lord's command to remain in him, the Vine, is to remain in close sacramental communion with him. We can find much comfort in this passage about remaining in Jesus. Yet we need to pay attention to the challenging aspect of Our Lord's words as well: The Father "takes away every branch in me that does not bear fruit." That is frightening! Those branches "will be thrown out ... and wither ... they will be burned." So we need to make an examination of conscience. Am I bearing fruit? In the New Testament, "fruit" can refer to virtues (Gal 5:22; Heb 12:11), good works (Col 1:10), and evangelistic effectiveness (John 4:36). Do we see these fruit in our lives? Furthermore, those who do bear fruit, the Father will "prune." No doubt the cutting away of twigs from a branch is "painful" for the plant, but it leads to more fruit. This refers to providential testing and trials sent by God to strengthen our faith. But do we regard the contradictions and sufferings in our personal lives as the pruning of a loving Father? To often we don't. (1) "Remaining in Jesus" means remaining in the Church, his body (Eph 1:22-23), and striving to maintain communion with the other disciples and the apostles, that is, with the members and leaders of the Church, as Paul did in the first reading. (2) "Remaining in Jesus" no doubt describes a lifestyle of prayer, of "asking in his Name." (3) "Remaining in Jesus" has a sacramental dimension, frequently imbibing of the "sap of the Vine" in communion, and frequent confession so that we may commune worthily. (4) "Remaining in Jesus" means a life of active obedience, "keeping his commandments and doing what pleases him." (5) "Remaining in Jesus" has a charitable dimension, loving in "deed and truth" and not simply in "word or speech," which certainly has an application for our relationship to our brothers and sisters in Christ who lack material means: "But if anyone has the world's goods and sees his brother in need, yet closes his heart against him, how does God's love abide in him?" (1 John 3:17). The Lone Ranger may ride off into the sunset, but Christians are called to remain: remain in Christ, remain in the Church, remain in love with each other. Great job, John! Thanks for this! Love those four reflections on remaining in Jesus. Since I loved the LR as a kid too, I can't wait--even if it looks a little weird. in the comments to your podcast, because I wanted to make this point. In order to receive Communion, one must "examine oneself" (1 Corinthians 11:28). We are taught that this examination, at least before Confession, entails a review of whether or not we have kept the Commandments. If we are in a state of grace, i.e. if we have not violated the Commandments, we may receive the Body and Blood of our Lord and thereby abide in Him. It might sound a bit simplistic, but I believe every time we present ourselves before the Altar to receive a Sacrament, we experience a sort of "pre" Judgment. Whether we know it or not. Christ said: "believe and be baptized and you will be saved, believe not and you will be condemned" (Mark 16;16). It seems to me, this admonition concerns every Sacrament. That is why many sleep (1 Cor 11:30-31). We might be able to fool other people. In many cases, we may even fool ourselves. But no one fools God. If we present ourselves unworthily, we will be judged. Thanks for your comments. I think we have a very similar view! Peace! Thanks, Michael and De Maria, for your comments. I agree with the view of communion as a preliminary judgement. That's in the tradition.